MOLTON BROWN (Molton Brown), an exotic, deep-smelling, pleasant scent that you would like to ask, "What is this smell like?" Is also known for its British Royal Warrants, who have developed amenities in luxury hotels around the world. 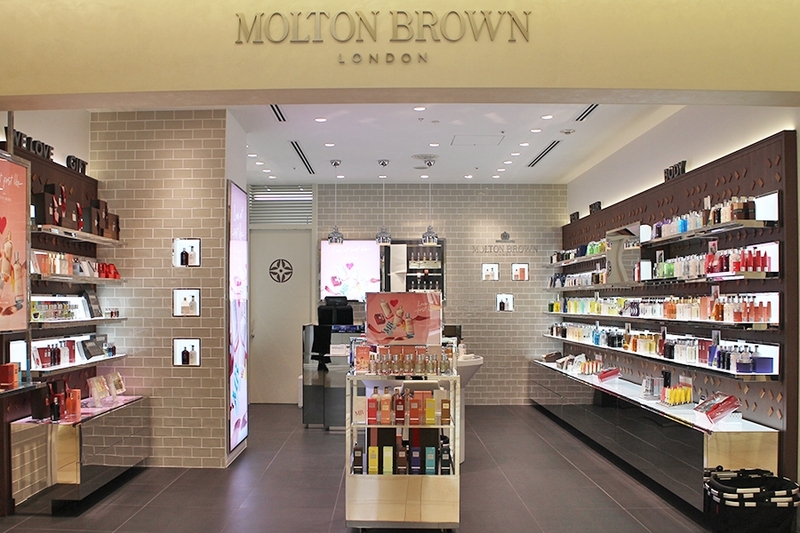 When you hear "Molton Brown", people would imagine body lotion and shower gel first, but the birth of the hair salon in 1973 becomes the beginning of the brand. Currently, they are developing a wide range of products from hair care products, body care products to fragrances. Since the Shinmaru Building is the only directly managed store in Japan, it has a store design that embodies the world view of its headquarters in the United Kingdom, and is called a "hub" in the central part of the store so that customers can actually try the products. The point where specialized staff chooses the product that suits the needs of the customer and gives beautiful gift wrapping at the gift concierge counter is also a point. In addition, because it is a unisex brand, it can be used regardless of gender, and many gifts and gifts for friends are also selected. In the future, the company will further strengthen its fragrance as a fine fragrance brand. Putting some perfume before closing the box.